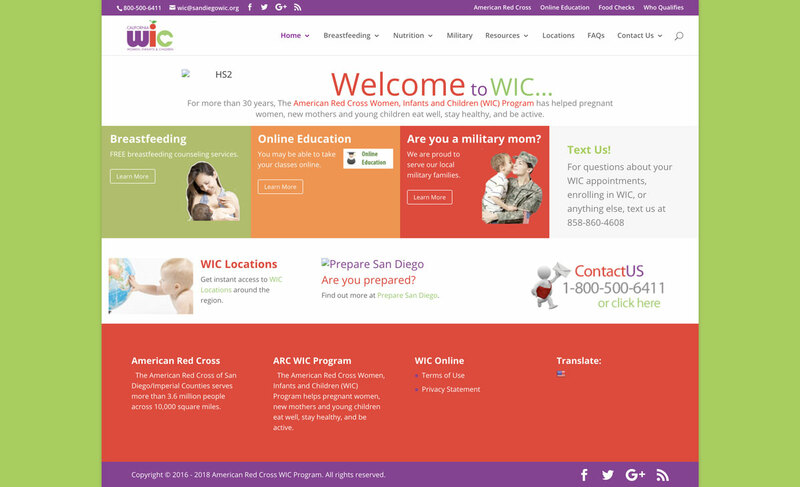 WIC, a program run by San Diego American Red Cross, helps maintain healthy pregnancies and thriving families by providing nutrition education, breastfeeding support, wellness coaching, and food vouchers. WIC’s existing content-heavy website was difficult to navigate, overwhelming for the user, and was being underutilized by the WIC team. Existing brand guidelines led to a visual overload. Our team was able to incorporate the same corporate guidelines while simplifying the look and feel of the site. Align team goals for a cohesive strategy. Increase online enrollment and email sign-ups. Discovery meeting to confront existing pains. 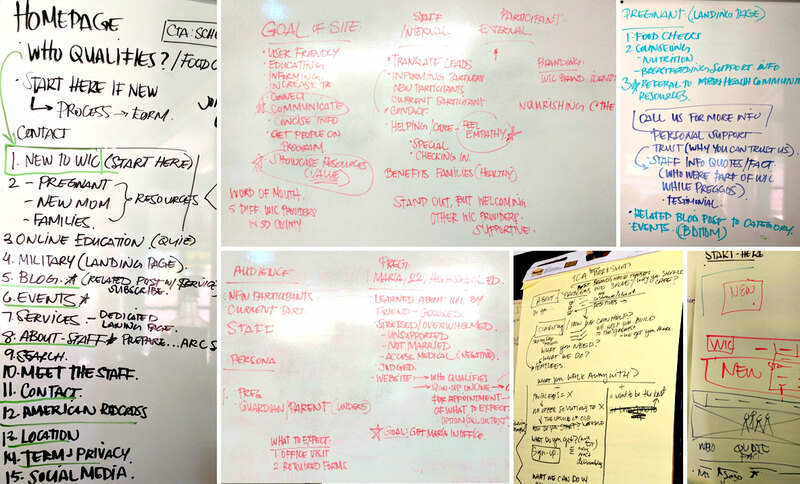 Mass content reorganization and complete rewrite of content. Clean design and focused navigation. Met with WIC’s team, who managed six departments but had never jointly discussed the website, to clarify distinct department goals, current pain points, and how to align a cohesive site all while conforming to strict internal guidelines. Created a website moodboard with an updated color palette, easy-to-read fonts, and custom-designed icons. We love color, but a little goes a long way. The old site drew the users’ eyes everywhere and we wanted the user to know exactly where they were and where they needed to go. UX/UI - We based our design decisions around two questions - 1. Who was the audience? And 2. What was the ultimate goal of the website? 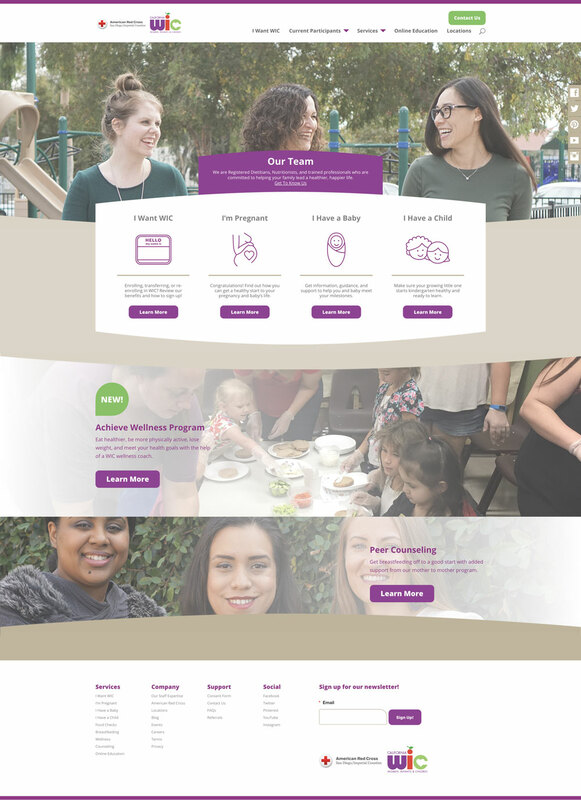 By going through the mindset of the top three user personas (someone new to WIC, the parent with the newborn, and families) we were able to create a user flow that was easy to use, streamlined, and created the conversion that WIC wanted. Our redesign created an immediate and drastic increase in web traffic, within 1 month of launching the site. Email sign-ups increased by 300% compared to the previous year and about 93% of those email sign-ups resulted in enrollment, compared to the previous rate of 90%.